Koyack is questionable to return to Sunday's game against the Texans due to a hand injury. Analysis: Koyack will miss out on his final chance to catch a pass in 2018 if he's unable to retake the field. As long as Koyack remains sidelined, Blake Bell should benefit from a slight uptick in snaps. Koyack played 18 offensive snaps in Thursday's 30-9 loss at Tennessee. Analysis: Koyack has seen a similar snap count in each of his four games since signing with the Jaguars last month. The 25-year-old has more or less been splitting reps as the team's No. 2 tight end with Blake Bell, though neither has produced much of note offensively. Koyack signed with Jacksonville on Monday, Daniel Popper of The Athletic reports. Analysis: Koyack has familiarity with the Jaguars, so it's likely he'll be able to mesh with Blake Bortles right away. While he'll likely begin his new tenure behind the likes of James O'Shaughnessy and Blake Bell, there's a chance he can snag the starting tight end spot before season's end. Koyack hauled in 24 receptions for 199 yards and a score with the Jaguars over 2016 and 2017. The Jaguars and Koyack (undisclosed) came to terms on an injury settlement Saturday, Daniel Popper of The Athletic reports. Analysis: Koyack was set to spend his season on the sidelines before both he and the Jags reached an agreement on an injury settlement. Once his health is up to par he will be free to find a new opportunity. Koyack (undisclosed) cleared waivers and reverted to injured reserve, according to the league's official transaction log. 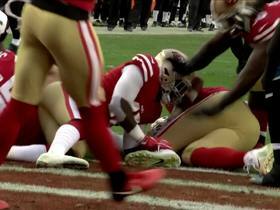 Analysis: It isn't clear what Koyack is tending to, but the tight end is nonetheless stuck on IR through the end of the league year unless he agrees to an injury settlement. 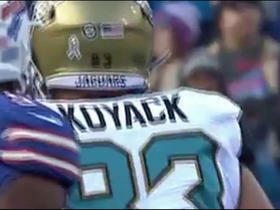 The Jaguars waived/injured Koyack (undisclosed) on Saturday, Mike Kaye of First Coast News reports. Analysis: Koyack was an infrequent contributor in the Jags' passing game last season, snagging just five balls for 38 yards. He'll likely pass through waivers and be stashed on injured reserve. Koyack (knee) was seen participating in both team and individual drills during Tuesday's practice, Zach Berman of The Philadelphia Inquirer reports. Analysis: Koyack was sidelined for Monday's practice due to a knee injury, but it looks like it was a minor one given his immediate return. Koyack is expected to begin the regular season as the No. 3 tight end behind Austin Seferian-Jenkins and Niles Paul. Koyack (knee) did not participate in practice Monday, John Oehser of the Jaguars' official site reports. Koyack signed his exclusive-rights tender Thursday, locking him in with the Jaguars for the 2018 season, Mike Kaye of FirstCoastNews.com reports. The Jaguars placed an exclusive-rights tender on Koyack, John Oehser of the team's official site reports. Analysis: The rules of the tender are a bit tricky, but there are several important takeaways. Most notably, by placing the tender on Koyack, the Jaguars have forced three-year veteran to either sign the tender or sit out this upcoming season. In effect, he cannot sign elsewhere. With this understanding in check, it's expected Koyack will be back with Jacksonville in 2018. Koyack recorded five receptions for 38 yards on seven targets in 16 games this season. Analysis: Although he only recorded five receptions on the year, Koyack still averaged just over 26 offensive reps per game last season. The third-year pro enters the offseason as an exclusive-rights free agent. 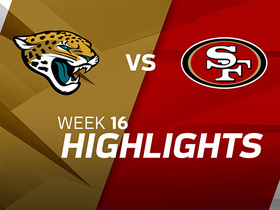 The Jacksonville Jaguars faced off against the San Francisco 49ers in Week 16 of the 2017 NFL season. 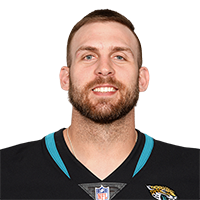 Jacksonville Jaguars quarterback Blake Bortles finds tight end Ben Koyack to convert two-point attempt. 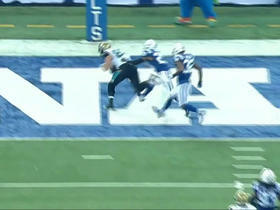 Jacksonville Jaguars QB Blake Bortles strikes a 14-yard TD pass to tight end Ben Koyack. Jacksonville Jaguars QB Blake Bortles finds tight end ben Koyack for a 17-yard gain.